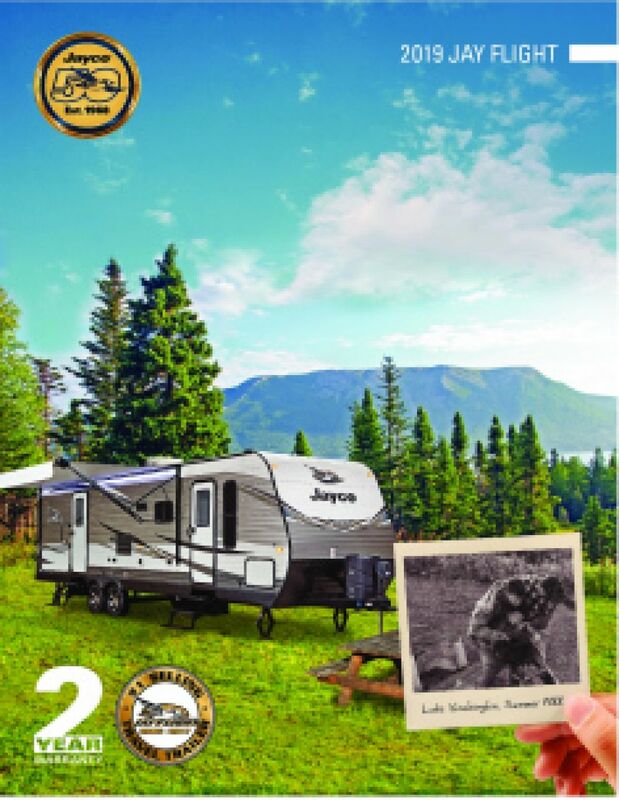 Great camping trips are easy in the New 2020 Jayco Jay Flight 38FDDS! You'll love going on long vacations with this Travel Trailer! At Tradewinds RV Center, you'll find low prices on all of our stunning, top brand RVs! Stop by 4325 W Vienna Rd Clio Michigan 48420 to find out why we're one of the premier RV dealers in Michigan - and the country! 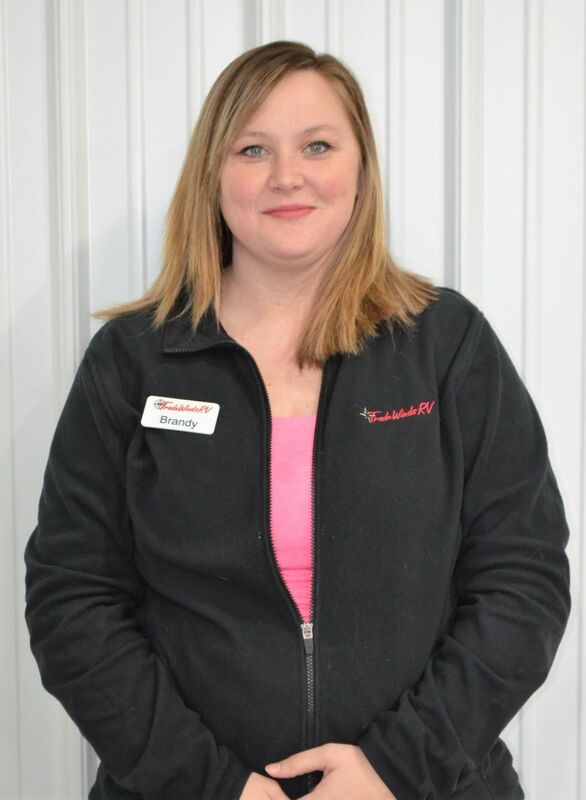 Call us at 810-686-0710 for more information from one of our friendly, knowledgeable RV experts! And with our fast, reliable 24/7 delivery anywhere in the nation, it doesn't matter where you live! Pick out your dream RV online, give us a call, and it'll be at your door in no time - at a price you'll love! 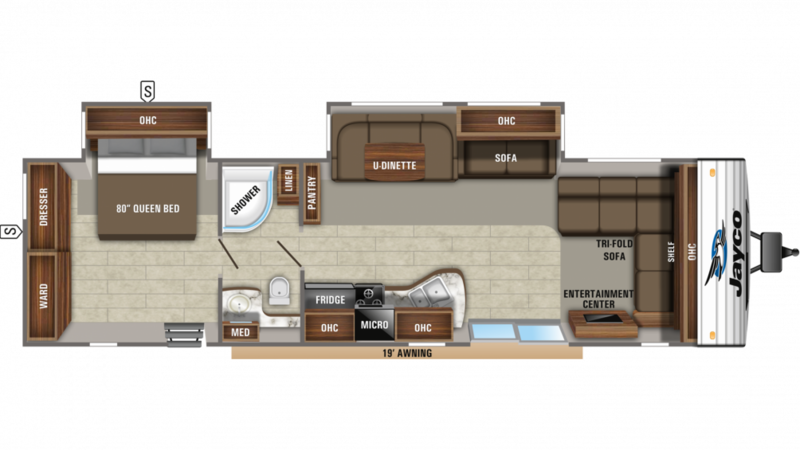 One of the great features of this RV is its towability! It's 40' 4" long, 8' 0" wide, and has a hitch weight of 1105 lbs! With its sturdy GVWR of 10950 lbs., it's ready to go when you are! For outdoor fun, this Travel Trailer has a 19' 0" patio awning that provides shade from the sun and keeps you dry when it rains! Campfire snacks and trail mix are great, but eventually, you'll want a big, hot, nutritious meal for the family. You can cook delicious breakfasts, lunches, and dinners easily in the kitchen! There is a 3 burner range cooktop, 18.00 cu. ft. refrigerator, and more! Your family will have enough water for the entire trip with the 80 gallon freshwater tank!